Welcome to the March 2014 links mashup post! This month’s selection consists of in-depth tutorials, quick advice and opinion pieces that shine a light on the world of WordPress development. There’s more than a couple of lists of plugins and themes to browse, too, that span subjects like writing, magazines, sliders, and business. Enjoy! 5 Quick CSS Customizations to Make Your Blog Standout – this tutorial offers five CSS customizations that are suitable for code newbies. Change things like how links look, readability, and more. Where in the World is WordPress? – this quick read offers a look at the appeal of WordPress all over the world, as evidenced by the increase in WordCamps abroad. WordPress Performance Improvements That Can Go Wrong – it’s good to be focused on how your site performs but getting overzealous can sometimes cause more issues. This article looks at a few potential problems and offers simple solutions. WordPress 3.9 Beta 2 is now available – we’re inching closer to the release of WordPress 3.9 so if you want to get a sneak peek at all it offers (and help the dev team iron out any kinks) Beta 2 is now available for download. Should There Be Developer Documentation for WordPress Themes? – The short answer? Yes. Though McFarlin goes into more detail than that, describing several arguments against and why he’s ultimately in favor. How to Split WordPress Posts Into Multiple Pages – this short and to-the-point tutorial acts as a nice quickie project for improving site functionality. WordPress Author Sites – this article has a narrow focus but it’s comprehensive in its coverage of the dos and don’ts for writer/author websites. An Intro to Object-Oriented Programming in WordPress – though the series of posts isn’t done yet, it shows promise in outlining all the must-know details for beginners. 8 WordPress Plugins to Increase Your Productivity – anything that saves me some time while blogging is good in my book. These 8 plugins are worth a look for improving your productivity and increasing output, all in less time. A Good Pick-up Line and a Good CTA Are Pretty Much the Same Thing – it’s a sales topic that’s been talked about to death but I like the angle here. 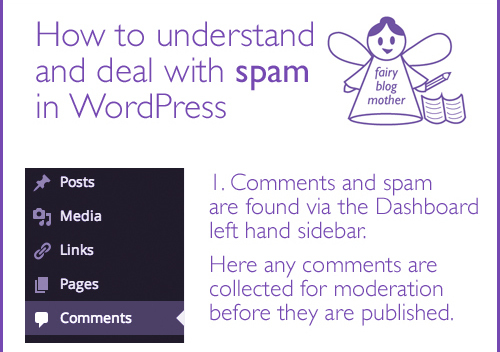 And the article contains several points well worth considering for WordPress site owners. Contributing to WordPress in Your Native Language – a call for action from non-native English speakers to contribute to the WordPress community in different languages. Includes links to resources and how-to information for translating and more. 40 Must-Have WordPress Plugins – I love a good list and this set of 40 plugins you need for 2014 definitely fits the bill. Includes premium and free themes that cover features like sliders, live chat, forms, backgrounds, e-commerce, and more. How to Reduce the Bounce Rate of Your WordPress Website – this article features quick, actionable tips for reducing site bounce rate and keeping visitors on your site for longer. Best WordPress Sliders in 2014 – since sliders are still all the rage, WP Mayor has put together a nice list of the best slider plugins currently available. How to Rewrite URLs in WordPress – this tutorial shows you how to use the WordPress rewriting API to change links on your site. Building a Magazine Style Homepage for a Multisite Network – instead of sticking with the default multisite homepage look, this tutorial shows you how to create a magazine style homepage that attracts the right kind of attention. The Best Completely Free WordPress Business Themes 2014 – just as its title suggests, WPLift offers a solid list of business themes professionals may want to check out. Do You Make These 5 Mistakes When Building a WordPress Theme? – this article highlights common mistakes and how to avoid them like not developing locally and failing to browser test as you go. Are Blog Comments Worth the Effort? – one of my posts over at WooThemes. In it, I discuss the importance of blog comments and how to better manage them. The Shift to a Front-End Editing Experience – another one of mine, this time at WPExplorer. I delve into some of the latest front-end editor news coming out of WordPress Core dev and how this might affect future development. Next blogpost:Do You Want to Share Your WordPress Story With Us? The infographic is ‘content heavy’ infographic.